South India is a land of many temples and shrines, each of which has preserved a local tradition of myth, folklore, and ritual. 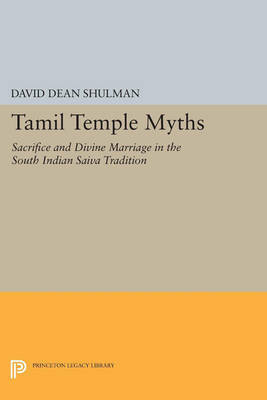 As one of the first Western scholars to explore this tradition in detail, David Shulman brings together the stories associated with these sacred sites and places them in the context of the greater Hindu religious tradition. Originally published in 1980. The Princeton Legacy Library uses the latest print-on-demand technology to again make available previously out-of-print books from the distinguished backlist of Princeton University Press. These editions preserve the original texts of these important books while presenting them in durable paperback and hardcover editions. The goal of the Princeton Legacy Library is to vastly increase access to the rich scholarly heritage found in the thousands of books published by Princeton University Press since its founding in 1905.